According to Ayurveda, a person’s constitution, also known as prakriti, is established at conception and is responsible for influencing one’s physique, physiology, mental character, and general preferences. If your dominant dosha is vata, your constitution or prakriti would be vata type. Vata dosha is considered the leader of the doshas and is made up of the elements of air/wind (vayu) and space/ether (akasha). Its inherent nature is cold, and the dosha exhibits qualities like movement, dryness, clarity, light, and subtlety. This dosha governs all movement in the body and mind, controlling blood flow, elimination of wastes, and breathing. All individuals possess a unique constitution and ratio between different the doshas. In order for individuals with predominant vata dosha to stay healthy, it is vital for them to keep vata in balance and prevent it from reaching excessive levels. To balance your dosha levels you need to use a combination of lifestyle measures including diet, yoga, and seasonal guides. Ayurvedic herbs provide an additional edge not just for maintenance of balance, but also to treat dosha imbalances as and when they do occur. Some of the best Ayurvedic herbs for a vata constitution include the following. Vidarikand, also known as Indian kudzu, is a holistic herb that has been traditionally used by Ayurvedic practitioners to improve one’s overall strength and rejuvenate the body. The herb is also famous for its aphrodisiac properties. While it is known to balance pitta, vidarikand excels at pacifying aggravated vata dosha and its symptoms thanks to its sweet, slimy, smooth, and heavy qualities. According to Ayurveda, it is one of the primary herbs that individuals with vata constitution should consider using on a regular basis. Furthermore, the numerous health benefits of this ancient herb have some support from ongoing research. As a recent study concluded, consuming Pueraria tuberosa may lower blood pressure and increase antioxidant activity. Scientifically known as Asparagus racemosus, shatavari is a traditional Ayurvedic tonic with the ability to rejuvenate the body. Since shatavari has a heavy and oily nature, it is excellent at balancing vata and comes with a grounding, nourishing effect that vata constitution individuals should aim for. 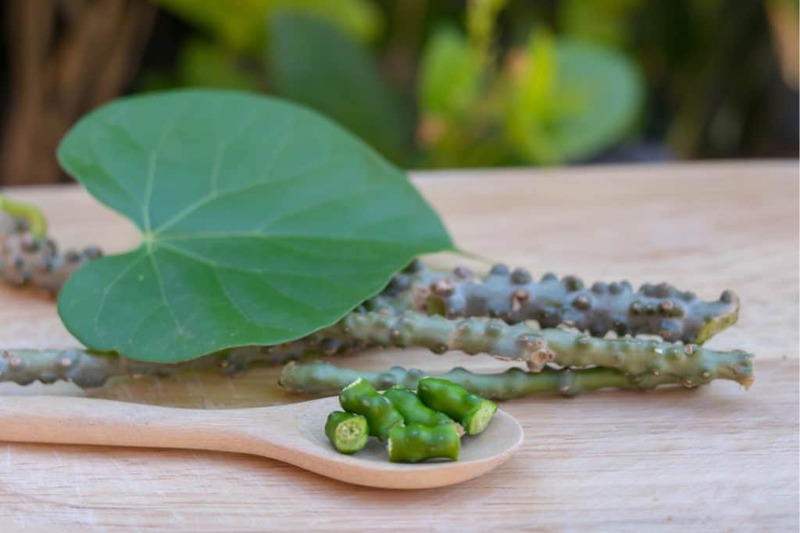 Due to the combination of these qualities, shatavari makes a great rasayana (rejuvenative) and is commonly used to aid the digestive system, reproductive system, and the blood. As one study found, Asparagus racemosus is a galactogogue plant that can significantly increase lactation. 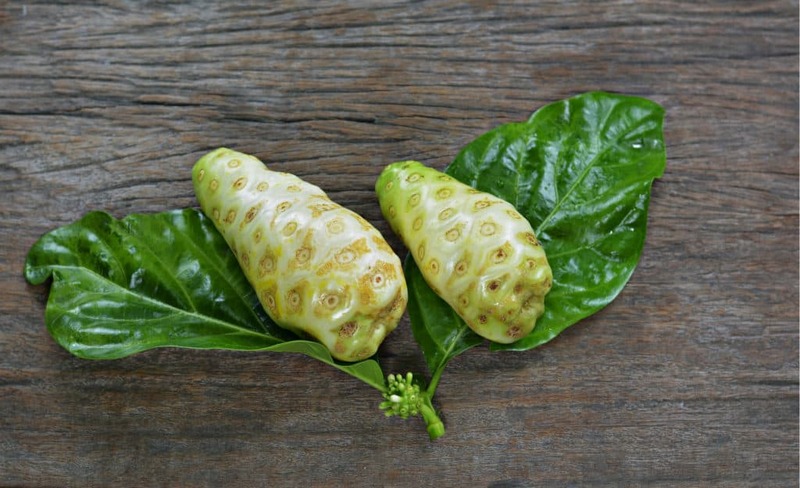 The researchers confirmed the “galactogogue activity” of the research drug, which has been traditionally ascribed to it in the ancient text Charak Samhita. 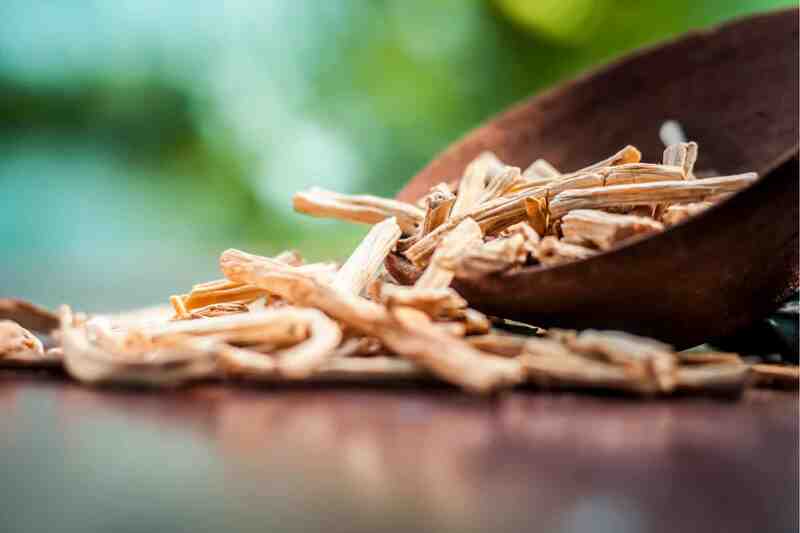 Thanks to its rejuvenating properties, ashwagandha is also known as Indian ginseng even though the herb and ginseng are botanically-speaking unrelated. The plant has been traditionally used for aiding mental focus and calming the nervous system. Due to its grounding and heating abilities, ashwagandha is excellent for treating all vata imbalance symptoms. As the herb is very potent, one should take it in moderation as it may throw pitta off balance. Multiple controlled human studies back up the effectiveness of ashwagandha in decreasing the symptoms of anxiety and stress, therefore countering the effects of imbalanced vata. In one 60-day study comprising of 64 people, an average decline of 69% of insomnia and anxiety symptoms was reported in the ashwagandha group, compared a decrease of just 11% in the placebo group. Furthermore, the study proposes that ashwagandha can lower cortisol levels. While this hormone is released under exposure to stress and comes with its own benefits, chronic elevation of cortisol due to high stress levels or prolonged exposure to stress increases the risk of high blood sugar levels and increased fat storage. Guduchi is considered an effective nerve tonic capable of strengthening the nervous system and vata dosha. Even though it comes with a bitter and astringent taste, the qualities that increase vata, Ayurvedic practitioners agree that it is one of the best herbs for pacifying vata because it comes with a sweet post-digestive effect. In the long run, this can help an individual with a vata constitution to balance vata as well as pitta and kapha. While the herb is often applied to boost one’s immune system and act as an anti-allergic agent, research has also backed up its potential for cleansing and detoxifying the body. According to several studies, guduchi acts as an antioxidant source and could be used as a supplement to treat and prevent a wide range of medical conditions. The Sanskrit word ‘Brahmi’ means energy. While the term derives from ‘Lord Brahma’, the divinity responsible for all of the world’s creative forces, brahmi is also highly regarded in Ayurveda for its medicinal value. In botany texts, the herb is termed as Bacopa monnieri. Since its earliest recorded usage, the herb has used to cope with nervous disorders, senility, venereal diseases, epilepsy, hair loss, premature aging, and obstinate skin conditions. Due to its remarkable ability to stabilize all three doshas, especially vata, brahmi is the perfect solution for anyone with a vata constitution. 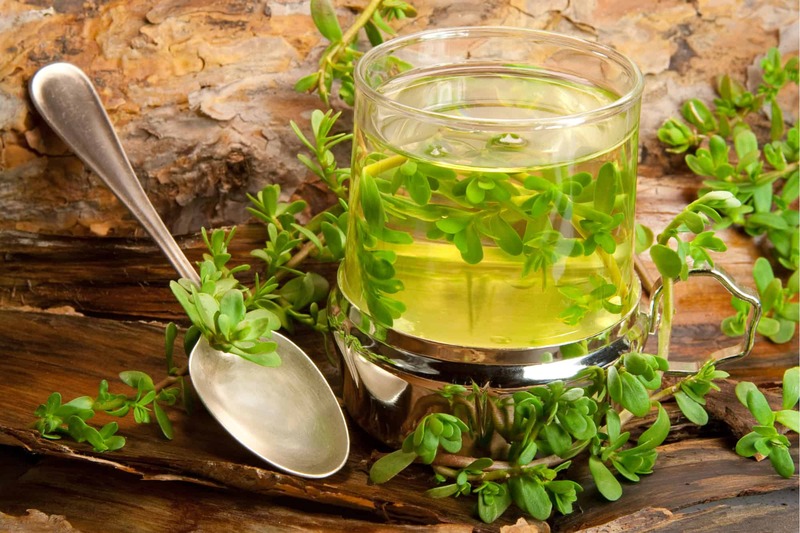 As modern studies and Ayurveda have shown, brahmi’s most significant feature is its effect on the nervous system. The herb may be used to improve the memory and purify the mind. Ayurvedic application also recommends the herb to enhance one’s energy levels and encourage sound sleep. While the herbs mentioned above do have a stabilizing influence and will help to keep vata levels in check, there are plenty of other herbs and foods that you can use to find that balance. To understand the classification of herbs based on prakriti or dosha type, we have plenty of insights from classical texts. They recommend herbs based on specific tastes because of the corresponding effects on each dosha. As a vata type individual, it would be best to avoid bitter, astringent, and pungent herbs that are known to increase vata’s drying and cooling qualities. Instead, you should opt for herbs that are characterized by their sweet, salty, and sour tastes, as they have a stabilizing and pacifying influence on vata. Some herbs that fit into this category include the likes of black pepper, cinnamon, cumin, cardamom, cloves, and mustard seeds. While herbs can be extremely helpful in maintaining a healthy vata constitution, lifestyle changes, including daily routines, diet, and exercise are also important. Keep in mind that herbal treatments are effective because of their nutritional and pharmacological properties, which is why it is always a good idea to consult your doctor before you begin using any new product. Gupta, M., & Shaw, B. (2011). A Double-Blind Randomized Clinical Trial for Evaluation of Galactogogue Activity of Asparagus racemosus Willd. Iranian Journal of Pharmaceutical Research : IJPR, 10(1), 167–172. Chandrasekhar K., Kapoor J., Anishetty S. (2012). 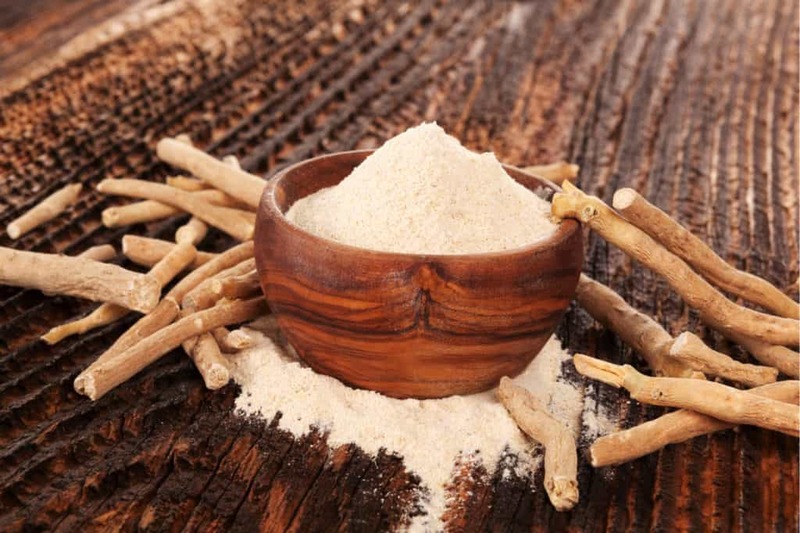 A prospective, randomized double-blind, placebo-controlled study of safety and efficacy of a high-concentration full-spectrum extract of ashwagandha root in reducing stress and anxiety in adults. Indian journal of psychological medicine. Jul;34(3):255-62. doi: 10.4103/0253-7176.106022.